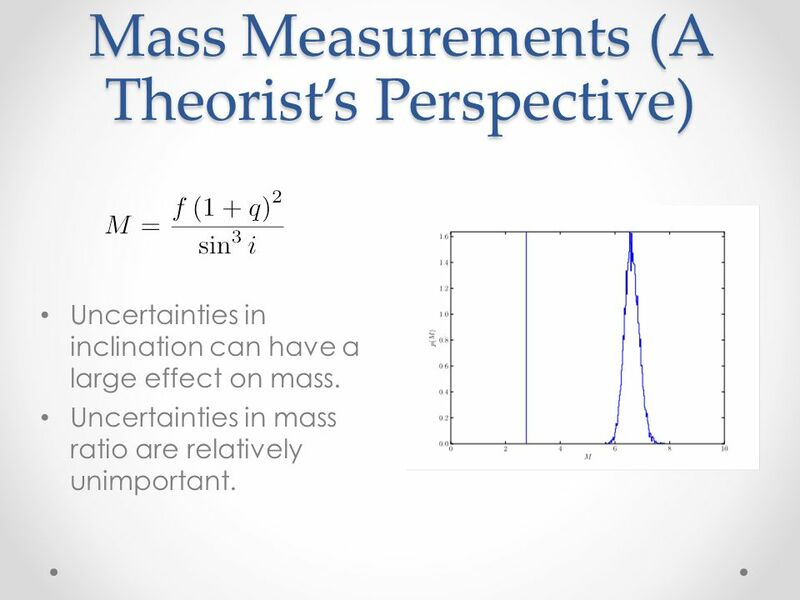 7 Mass Measurements (A Theorist’s Perspective) Uncertainties in inclination can have a large effect on mass. 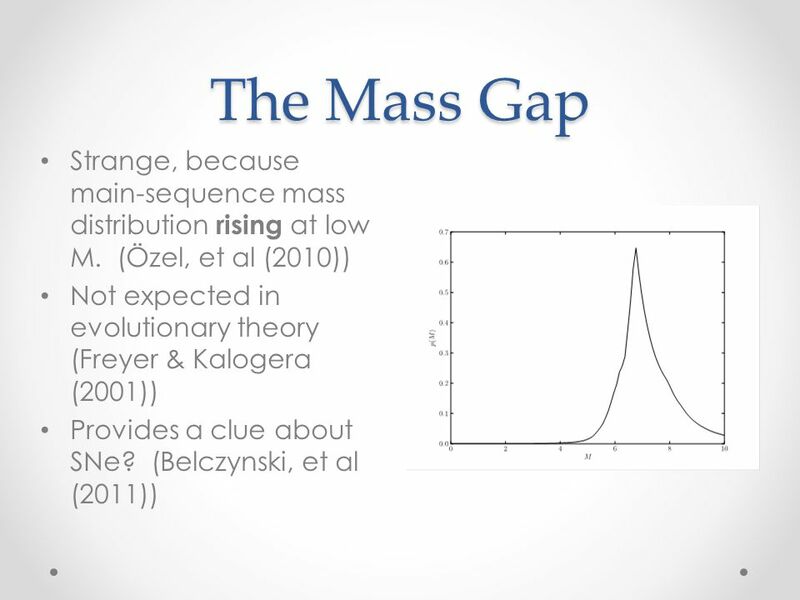 Uncertainties in mass ratio are relatively unimportant. 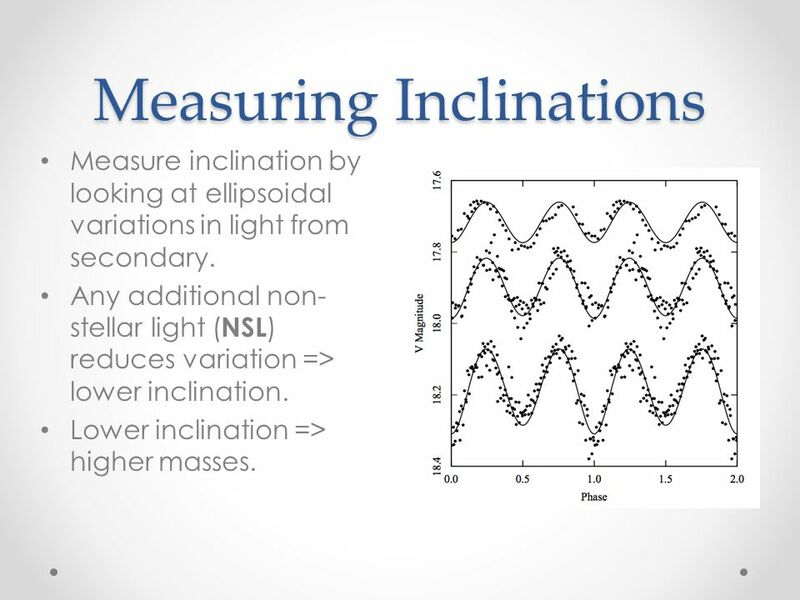 8 Measuring Inclinations Measure inclination by looking at ellipsoidal variations in light from secondary. 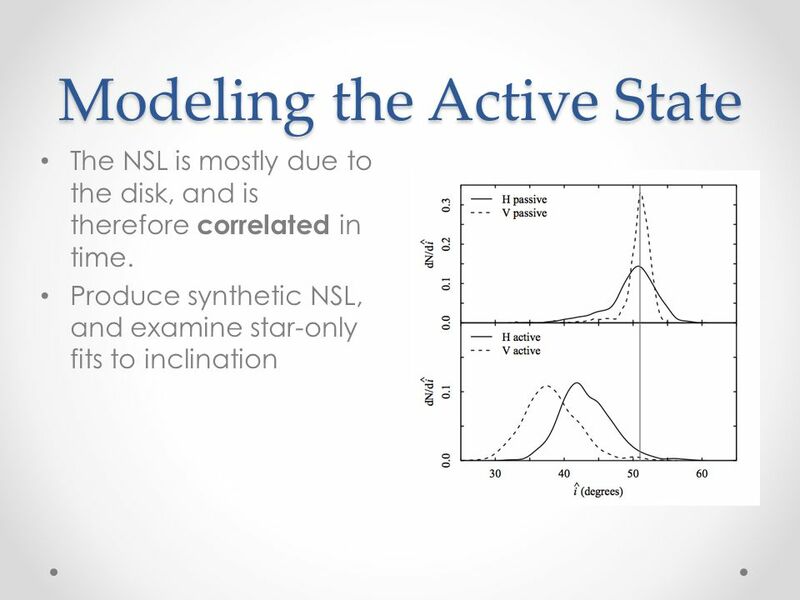 Any additional non- stellar light ( NSL ) reduces variation => lower inclination. Lower inclination => higher masses. 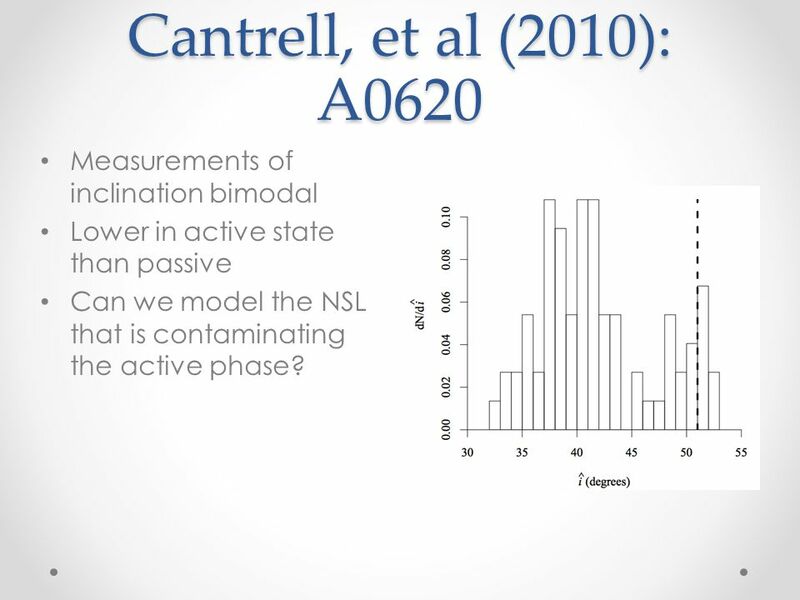 9 Cantrell, et al (2010): A0620 Measurements of inclination bimodal Lower in active state than passive Can we model the NSL that is contaminating the active phase? 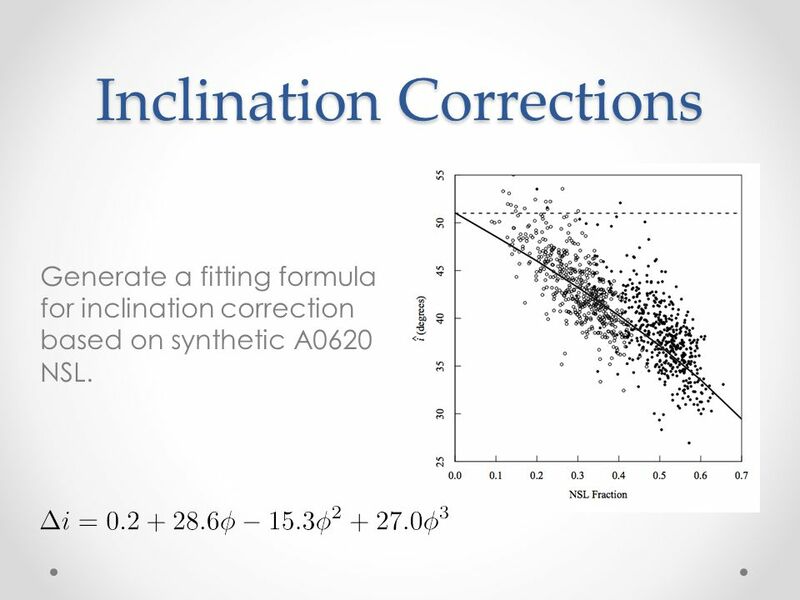 11 Inclination Corrections Generate a fitting formula for inclination correction based on synthetic A0620 NSL. 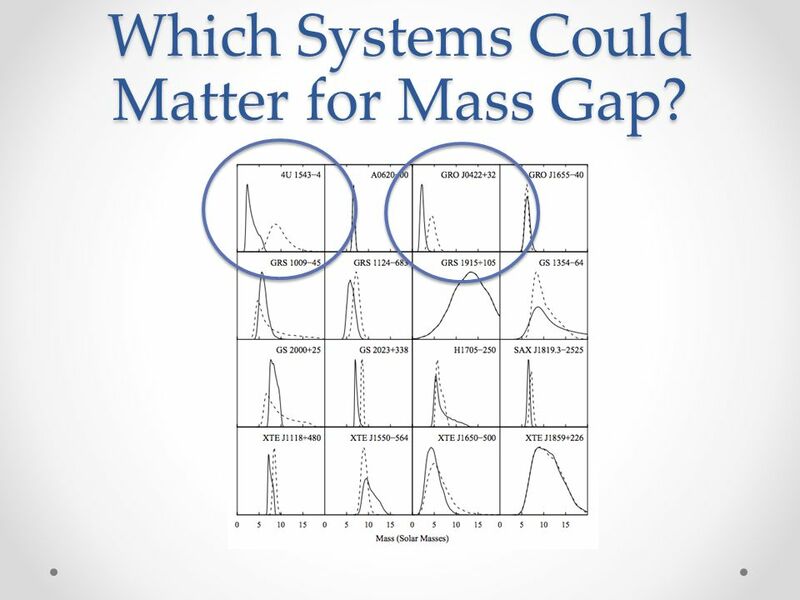 14 Which Systems Could Matter for Mass Gap? 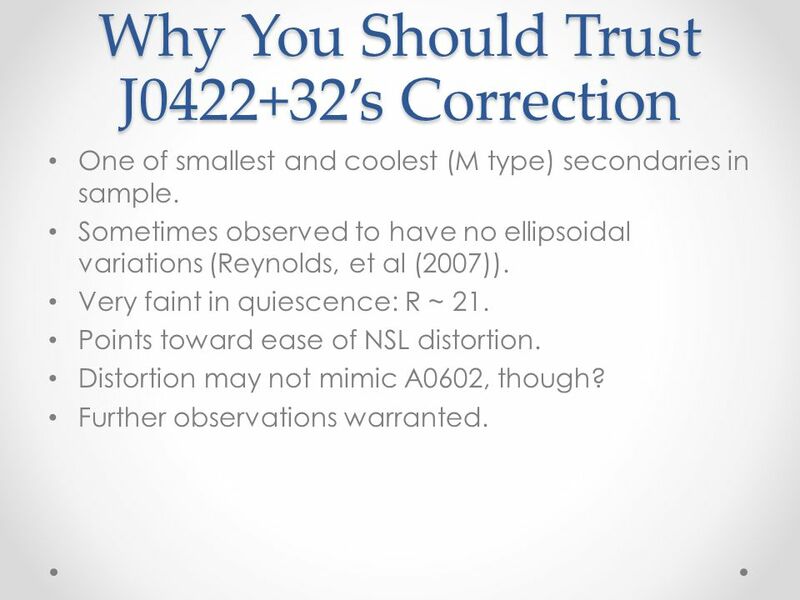 17 Why You Should Trust J0422+32’s Correction One of smallest and coolest (M type) secondaries in sample. Sometimes observed to have no ellipsoidal variations (Reynolds, et al (2007)). Very faint in quiescence: R ~ 21. 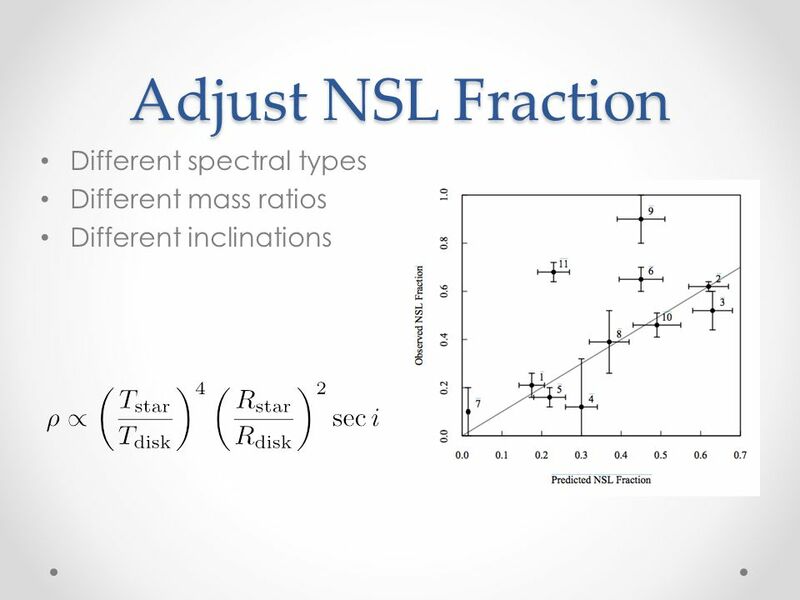 Points toward ease of NSL distortion. Distortion may not mimic A0602, though? Further observations warranted. 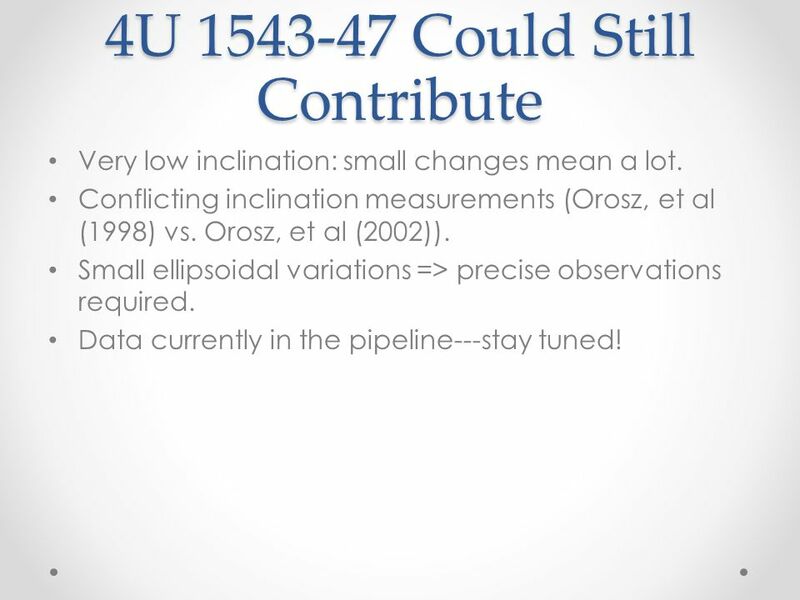 18 4U 1543-47 Could Still Contribute Very low inclination: small changes mean a lot. Conflicting inclination measurements (Orosz, et al (1998) vs. Orosz, et al (2002)). Small ellipsoidal variations => precise observations required. Data currently in the pipeline---stay tuned! 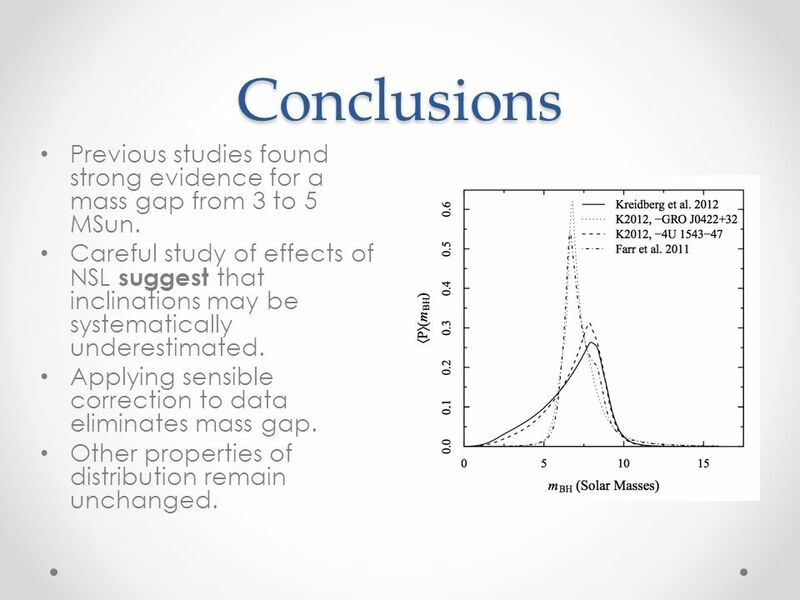 19 Conclusions Previous studies found strong evidence for a mass gap from 3 to 5 MSun. 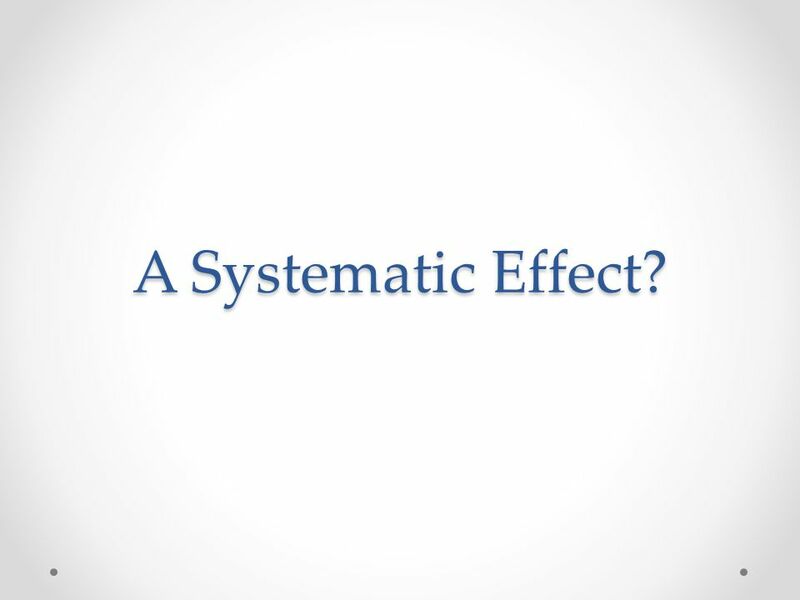 Careful study of effects of NSL suggest that inclinations may be systematically underestimated. 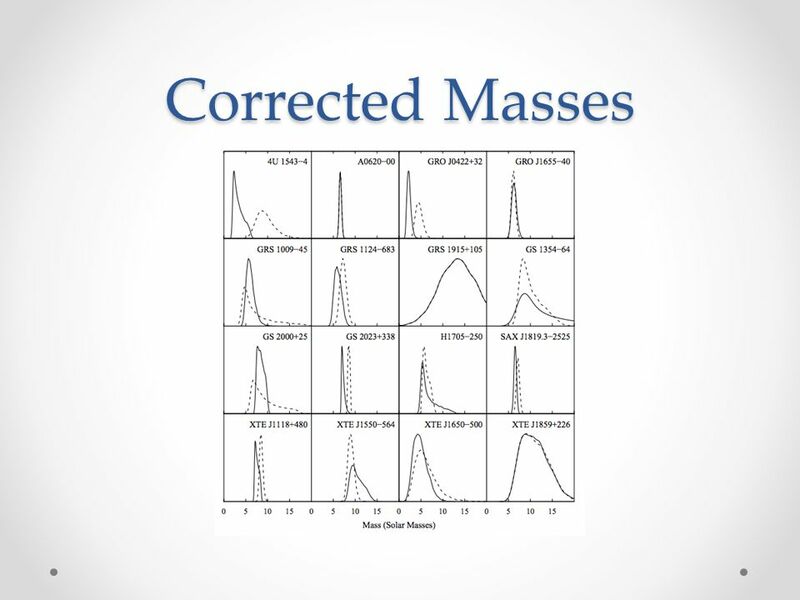 Applying sensible correction to data eliminates mass gap. Other properties of distribution remain unchanged. 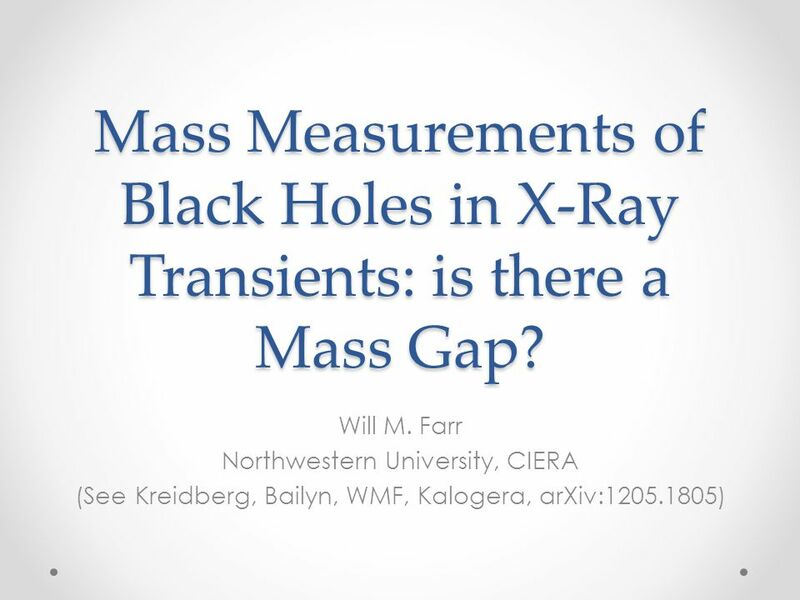 Download ppt "Mass Measurements of Black Holes in X-Ray Transients: is there a Mass Gap? Will M. Farr Northwestern University, CIERA (See Kreidberg, Bailyn, WMF, Kalogera,"
FU Ori and Outburst Mechanisms Zhaohuan Zhu Hubble Fellow, Princeton University Collaborators: Lee Hartmann (Umich), Charles Gammie (UIUC), Nuria Calvet. AP CALCULUS AB 2012 Question 6 Form A Name_________________ Date __________Period___. 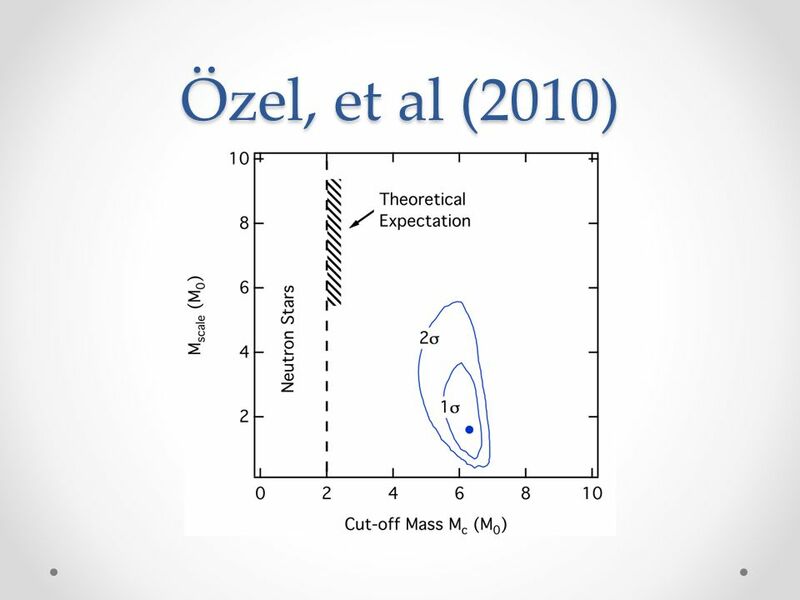 The BPT diagram and mass-metallicity relation at z~2.3: Insights from KBSS-MOSFIRE Steidel et al. (2014) - Strong nebular line ratios in the spectra of. Neutron Stars: Insights into their Formation, Evolution & Structure from their Masses and Radii Feryal Ozel University of Arizona In collaboration with. 18 July Monte Carlo Markov Chain Parameter Estimation in Semi-Analytic Models Bruno Henriques Peter Thomas Sussex Survey Science Centre. Two-particle correlations on transverse rapidity and the momentum dependence of angular correlation features in Au+Au collisions at = 200 GeV at STAR Elizabeth. 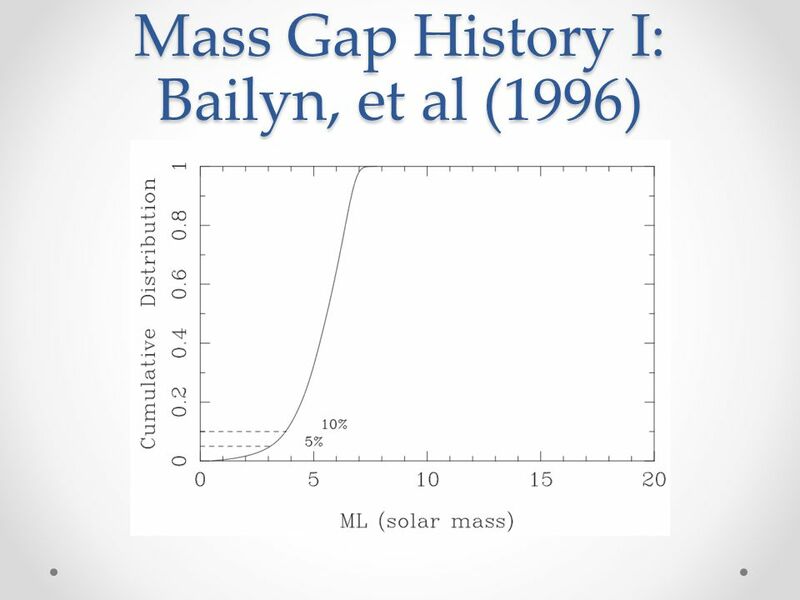 UNCERTAINTIES ON THE BLACK HOLE MASSES AND CONSEQUENCES FOR THE EDDINGTON RATIOS Suzy Collin Observatoire de Paris-Meudon, France Collaborators: T. Kawaguchi. Most Stars Are Single ! C. J. Lada ApJ, 640, L63 (2006) 1.From observations: a low binary fraction for late-type stars 2.2/3 of all disk MS stellar systems. 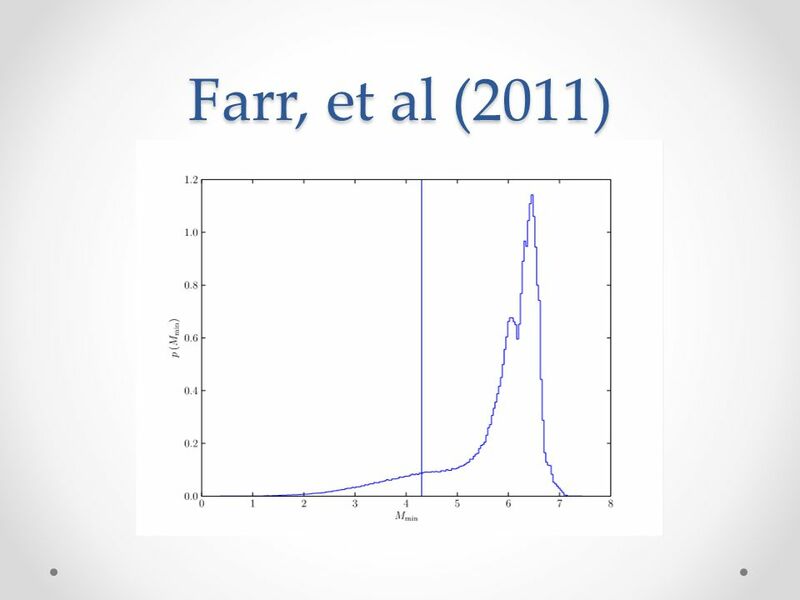 Compact remnant mass function: dependence on the explosion mechanism and metallicity Reporter: Chen Wang 06/03/2014 Fryer et al. 2012, ApJ, 749, 91. Dust and Stellar Emission of Nearby Galaxies in the KINGFISH Herschel Survey Ramin A. Skibba Charles W. Engelbracht, et al. I. 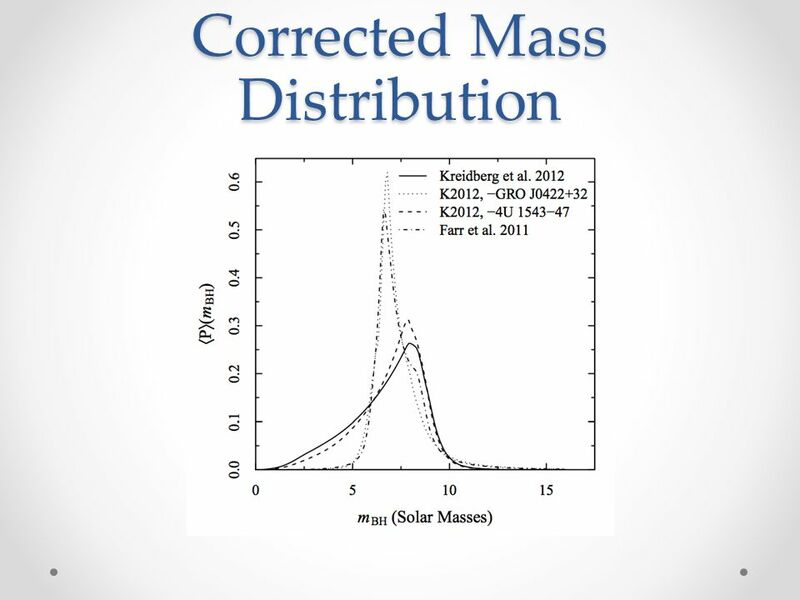 Dark Matter and Galaxy Formation Section 4: Semi-Analytic Models of Galaxy Formation Joel R. Primack 2009, eprint arXiv: Presented by: Michael. Class 24 : Supermassive black holes Recap: What is a black hole? Case studies: M87. M106. MCG What’s at the center of the Milky Way? The demographics. Figure 6: Contour plot of light curve for fixed inclination of 54 o and the full range of azimuthal viewing angles starting again at 180 o from apastron. “ Testing the predictive power of semi-analytic models using the Sloan Digital Sky Survey” Juan Esteban González Birmingham, 24/06/08 Collaborators: Cedric. 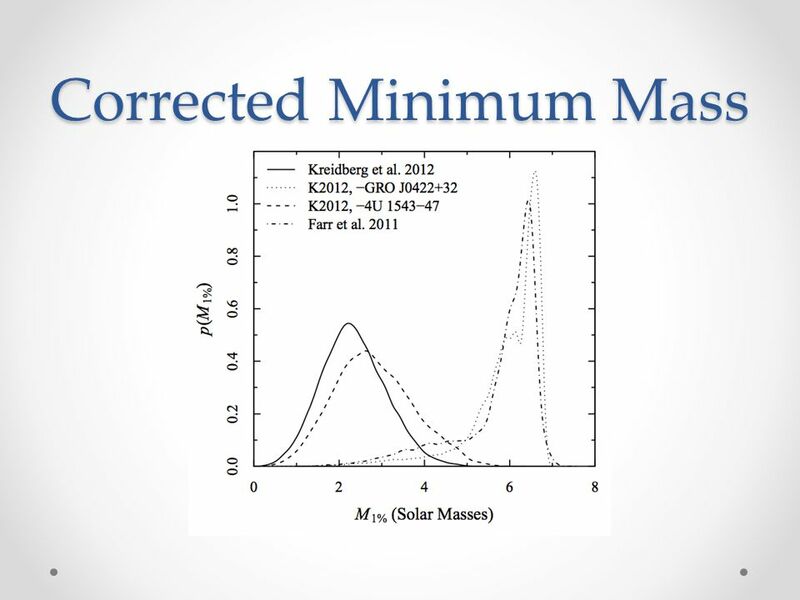 Galactic Helium-to-Metals enrichment ratio from the analysis of local main sequence stars observed by HIPPARCOS 52° Congresso SAIt – Teramo 2008 * Università.